Last edited by Will on Sat Sep 25, 2010 1:39 pm, edited 1 time in total. But she will be wasted, is it final ? Can she still back out or petition to compete in Miss World instead ? Ohh please send her to Miss Earth. She will be wasted in Miss World. 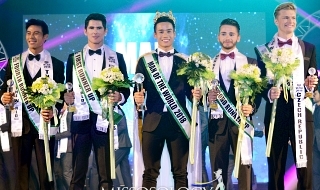 Have you seen the current Miss World? I'm not saying she's ugly. She's pretty but gosh, there were so many other stunning beauties worthy of the title than her last year. Message: I love Gigi Gorgeous! she is exotic looking.. i wonder whats her height and does she have that catwalk skills.. honestly she is not that facially beautiful compared to Ashleigh..
Lisa will be going to Earth. New Zealand Already has a Miss World 2010 entrant. As the Miss North Shore organiser I am very proud of the two girls I sent (Lisa and Ashleigh) Both did me SO proud. Best of luck to them both. Ria was selected by the Miss Universe NZ organisation the Miss Earth NZ organisation also owns the Miss World NZ organisation. So Ria could not go, as she is not only contracted to a different organisation, but she didn't enter this pageant. I stand by Lisa and her placing, she is an amazing girl, with a fierce walk on the catwalk. What are the other results? Top 5 etc? I know the runners up are going to pageants too?? Wayzie wrote: What are the other results? Top 5 etc? I know the runners up are going to pageants too?? (5th)Miss Tourism International NZ - Leah-Anne Ridding. Congrats to all the seniors. Miss Global Teen NZ 2011- Vivian Nouri, and congrats to our teen winner. Last edited by Michyla on Sun Sep 26, 2010 12:45 am, edited 1 time in total. There are two tourism international? 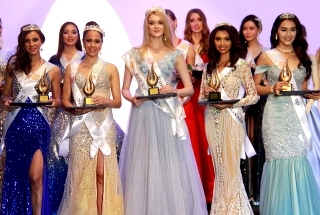 What is miss all nations? Haha Sorry, Long night, early start, Still half asleep. Umm Not too sure what "Miss All Nations" is. However, I'm sure we will all find out soon. Lisa Davids was selected as Miss Global Beauties New Zealand. 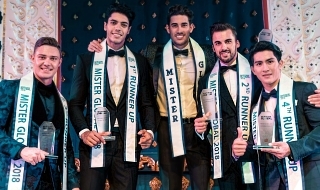 Any photos of the winners?? Great face Miss New Zealand... she deserves Miss Photogenic at least! I think i'm in love. I like her so much! There's something in her -- silent charm. I hope she makes it. Message: You rock when you are beautiful! She's gorgeous. Her features look like she is mixed with Maori. Congrats for a beautiful representative Aotearoa! Message: I will continue to support the delegates who are ambassadors of our island! You're not really tired huh? She's not tired....she's halucinating.... , SHE'LL DEFINITELY WASTED IN ME IF SHE DOESN'T DESERVE TO WIN!!!!!!!!!!!!!! There's a lot of gorgeous, beautiful women this year, BET??? ?